During the summer, Vantaa will have reduced food bank services. Organisations are setting up a network to distribute food aid. THOUSANDS of people living in the capital region turn to food banks for help every week. The economic downturn has caused an explosion in the numbers of people needing to resort to food aid. Hannu Hätönen, a director at Hyvä arki association, which runs a food bank in Espoo, says that the number of people needing aid has gone up by 10-15 per cent a year. "In the past, people who had fallen through the gaps in safety networks queued for food aid but now we get the whole spectrum of society. Students, pensioners, immigrants, families with children and people in employment all need aid," Hätönen says. Last year, the association gave out 25,000 free food bags and served 4,000 breakfasts intended for homeless people. Heikki Hursti, who organises food aid in Helsinki, says that every time his organisation gives out food bags, the queue has 2,400-3,200 people, which is at least a thousand more than a couple of years ago. Queues for free bread appeared in Finland in the 1990s and since then, not only have they become a permanent feature but they have also grown much longer. "In the current welfare state, it's not possible to muster such political will that would put a stop to the bread queues, even though everyone knows how that could be achieved. A hefty rise in the social benefits would be a good start," says Hätönen. Dozens of organisations and parishes provide food aid in the capital region but their activities have been uncoordinated, which has prompted various operators to initiate collaboration. The organisation run by Heikki Hursti, Hyvä arki organisation in Espoo, the Salvation Army and a couple of other organisations have started a food aid network. People from various organisations phone each other, for example, when they receive a food donation which is too large for them to distribute without assistance. "Recently, we received 27 trays of mustard and we gave some of that to the other organisations to hand out," explains Hätönen, adding that there is a definite demand for an efficient, high-quality food bank network in Finland. "That would allow us to hand out food aid in clean premises with logistics that work, and the activities would be professional. We should be able to offer help in a dignified manner," says Hätönen. 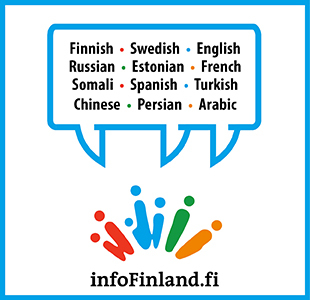 During the summer, food aid distribution in Vantaa will operate with reduced services. The Vahti organisation will have to stop their food aid services temporarily as the organisation does not have a refrigerated transport vehicle. Under the regulations of the Finnish Food Safety Authority (Evira), the cold chain must remain intact at all times and in the summer the Vahti organisation is not able to meet this condition. "Our food distribution services will be disrupted in the summer. We have requested financial support from the City of Vantaa to hire a refrigerated transport van but the city won't grant the funds," says Jarno Eskelinen from Vahti. Deputy Mayor of Vantaa Heidi Nygren says that the schedule is too tight for the city to be able to organise the funds for Vahti. She explains that several charities have requested assistance with premises, refrigerated transport vehicles and cold storage spaces. Local parishes and the city have set up a joint project with a view to reorganising food bank activities in Vantaa. The project is striving to create a food aid network with parishes and organisations working together to organise the logistics and make other practical arrangements. The project is seeking EU funding for 2014-2020. "The goal is to create a food aid model that can be implemented elsewhere in the country as well," says Nygren. Eskelinen slams the city's actions in the matter, finding it indefensible that while "the city sets up workshops to ponder on matters and make speeches" it declines to help Vahti to acquire a refrigerated van.